A 3000 acre fire burned in the hills above Glendora earlier today. 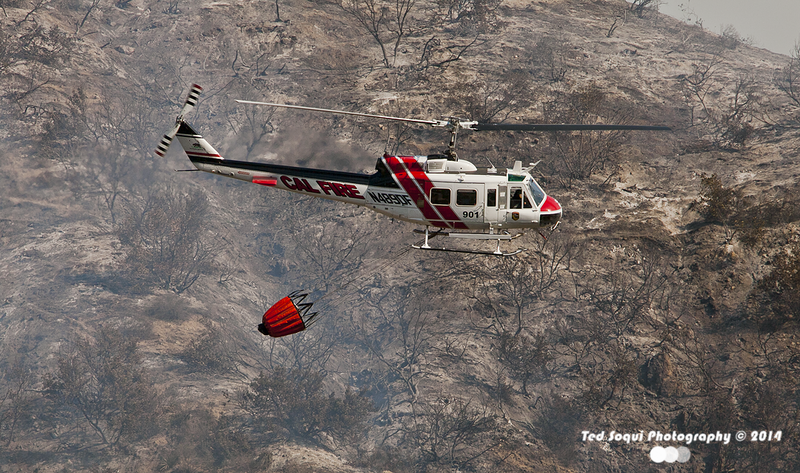 The "Colby Fire" was fought mostly from the air with Super Scoopers and helicopters. 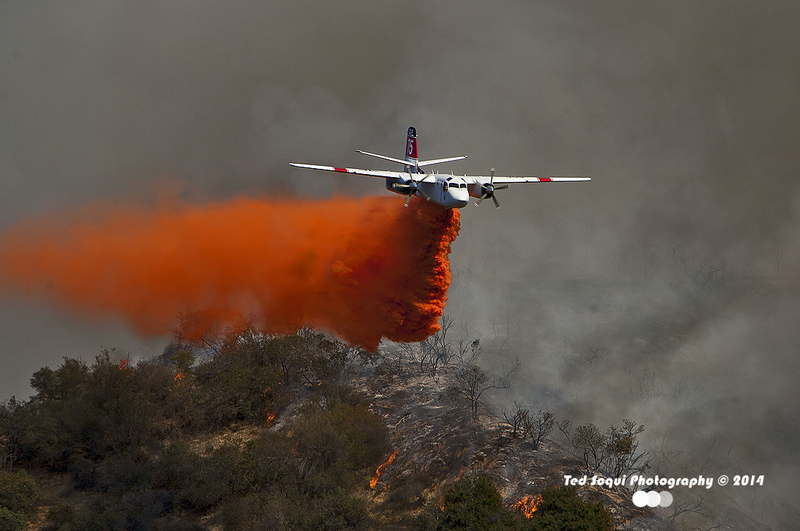 CalFire S-2T type III Grumman air-tanker dropping foscheck. A CalFire UH-1H "Super Huey" with a empty bucket. 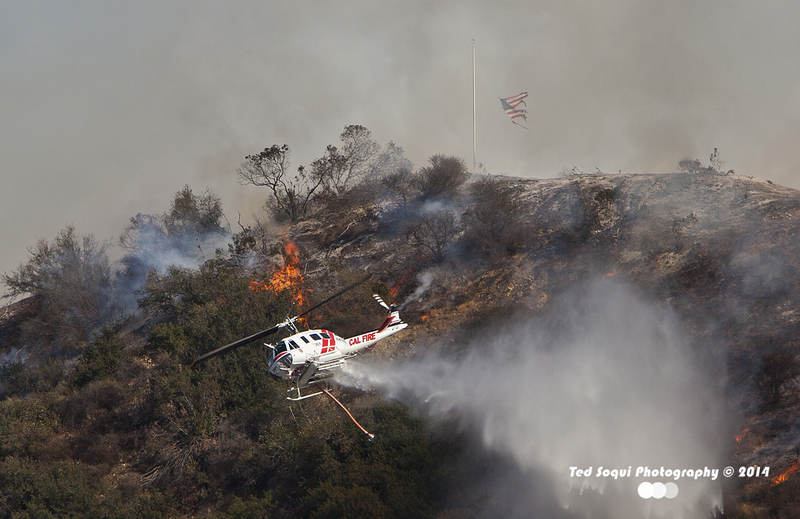 A CalFire Bell 205 A++ dropping water. Old Glory flying in the background. 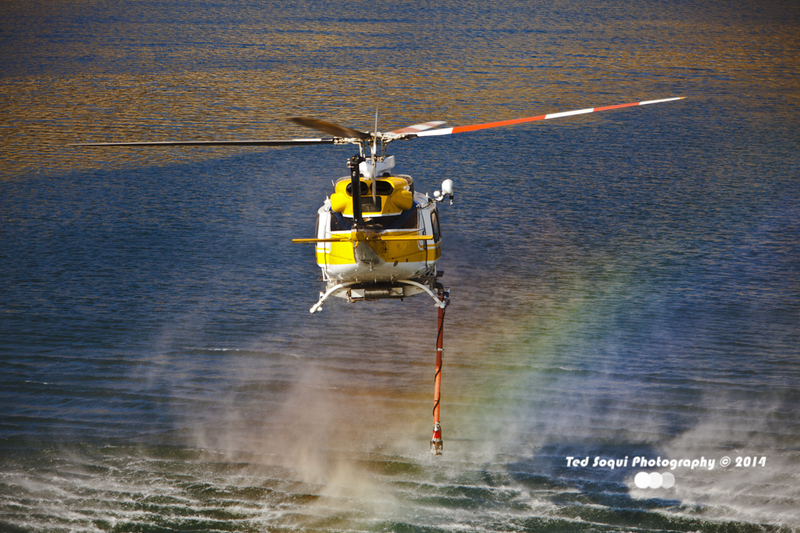 A LA County "Fire Hawk" Sikorsky S-70 creating a water-bow. 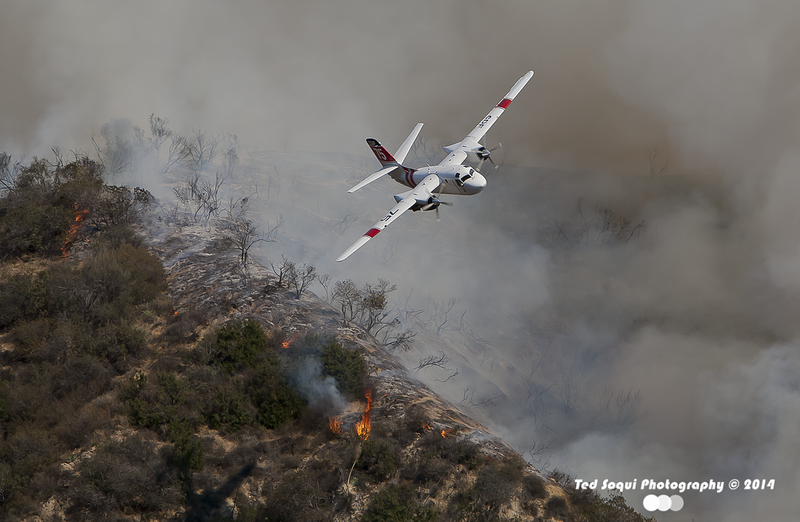 A CalFire S-2T Grumman type III air-tanker dropping foscheck. 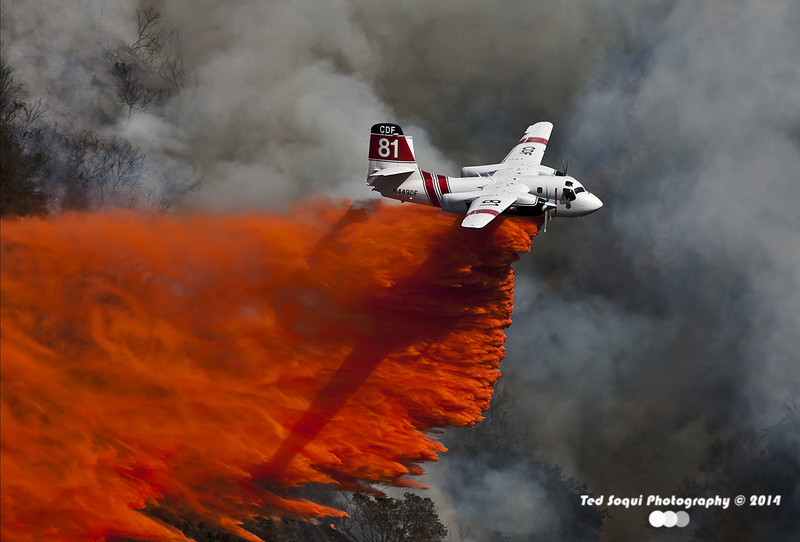 A low flying CalFire S-2T Grumman type III air-tanker.